Pat began her insurance career in 1974 in a suburb of Detroit, MI. From there she moved to the Phoenix AZ area and continued her insurance career with Springfield and on to State Farm as an agency manager. In 1981 she was provided the opportunity to take over an existing Farmers insurance agency in Scottsdale, AZ and has been here ever since. Same location at the SE corner of Scottsdale Road and Shea when this area was considered very North Scottsdale. Pursuing her goal to learn more about insurance, she completed her insurance designation of LUTC in July 1990. Throughout the years Pat has seen the area grow and has seen its growing pains. 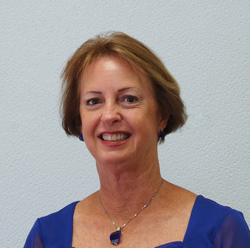 Pat and her staff have maintained honesty and integrity serving her loyal clients insurance needs. Markets have opened up to Pat's offering of many lines of insurance. Pat has a daughter nearing her fourth year in Medical School and a world traveler sister who has adjoining property. When Pat is not working at her insurance agency, growing her client base, you will find her caring for her two horses Big Easy Diamond and Kokopelli. Her ranch dog Houdini and the various birds and fish she surrounds herself in peaceful tranquility. You may find her bicycling, quad riding, gardening or hiking in the vast Sonoran Desert where she lives.